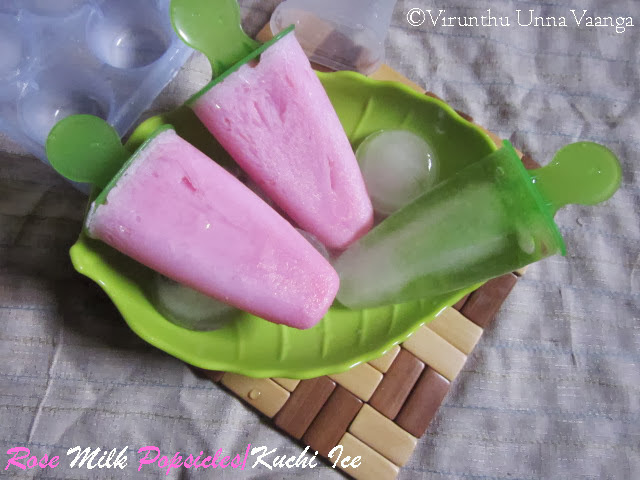 Add rose essence and sugar into the milk bowl and blend it well then pour it in the popsicle mold or kulfi mold. 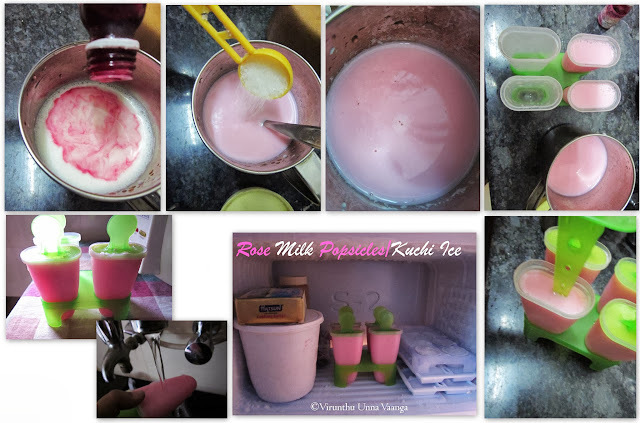 Keep it in freezer for 3-4 hours or according to your freezing temperature. After freeze it, take out from the freezer and keep it running tap water to loosen the popsicles from the mold. 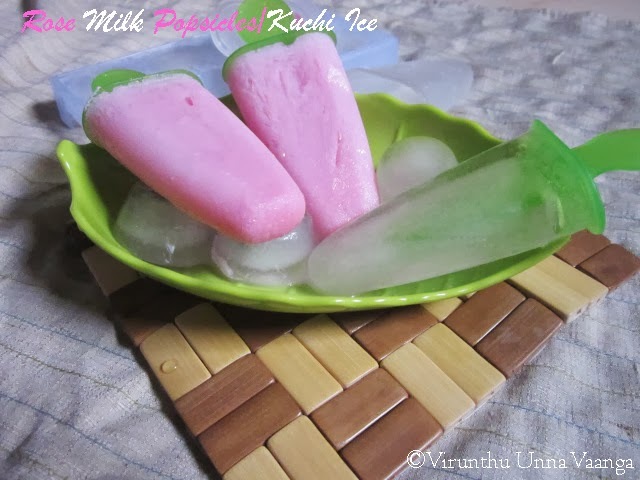 YUMMY N LIP SMACKING ROSE MILK KUCHI ICE/POPSICLE!!! ஆஹா, ரோஸ் மில்க்கில் குச்சி ஐஸ் !!!!!! 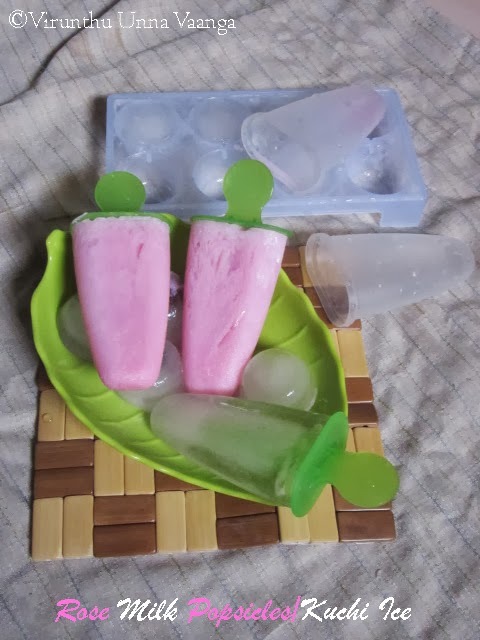 குச்சி ஐஸ் சாப்பிட்டு ரொம்ப நாட்கள் ஆச்சு. ரோஸ் மில்க் + குச்சி ஐஸ் இரண்டுமே எனக்கு மிகவும் பிடித்தாமான ஐட்டம்ஸ். 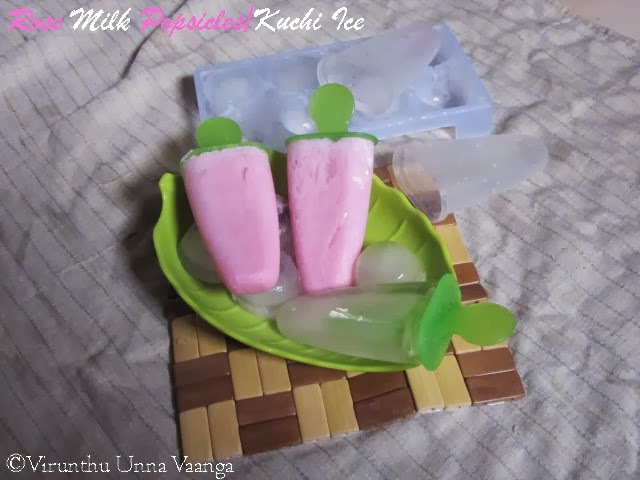 படத்தில் பார்க்கும் போதே ருசிக்க ஆவலாக உள்ளது. 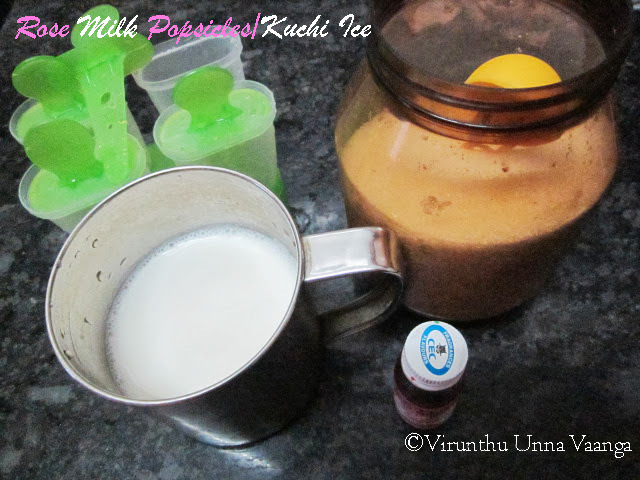 anything with rose milk is refreshing. 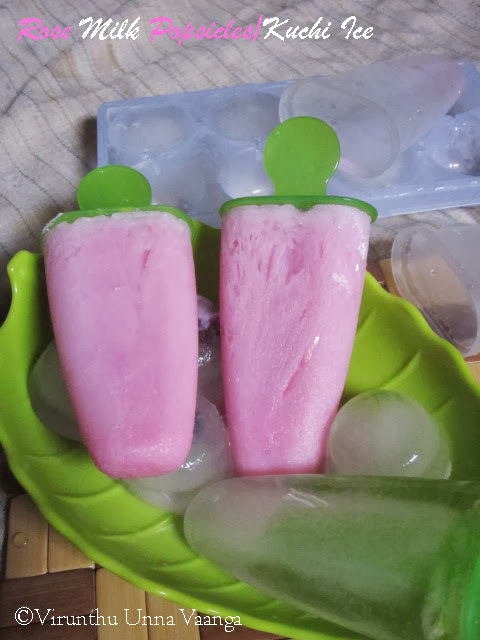 Wow....wonderful rose flavoured popsicles. May I have one? Very very inviting dear. super ooo super kuchi ice. 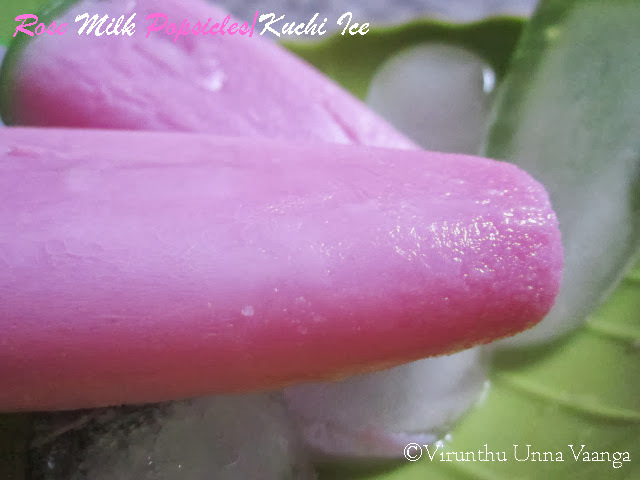 semma color, pinky kuchi ice! !love it! 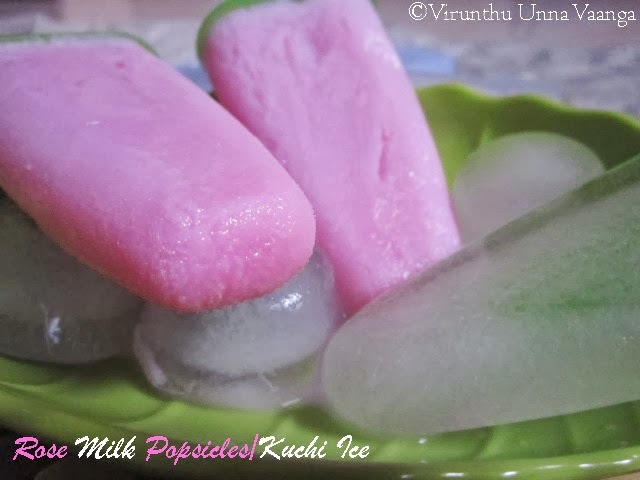 Very like licking that damn cute pops, my fav kuchi ice. Cute pinky pinky rose milk popscicles...great treat for the kids! thanks for linking with us!